Learn how to attract customers who pay your prices without question, appreciate your hard work and who return again and again. All across the country, I’ve helped hundreds of farm owners just like you. The difference between those who flourish and those who continue to run themselves ragged and still can’t pay the bills, is that the ones who flourish know how to get and keep high-quality customers. Come to you, so you don’t have to deliver product all over town. Happily pay top price, and know that it means higher quality. Tell all their friends where they got the incredible eggs, grass-fed beef, raw milk, or fresh veggies. You can have those customers — lined up and on your waiting list. That’s exactly what I show you how to do. Get started by clicking below! Named a food rebel, pioneer and visionary by PBS’s Food Forward TV, and a “Pioneering Leader in Raw Milk Production” by Mark McAfee, CEO Organic Pastures Dairy, and Food Tank named her one of the 25 “World’s Most Influential Women in Food and Ag” Charlotte Smith has created a sustainable farm-to-consumer business selling premium meats, poultry, eggs and milk. 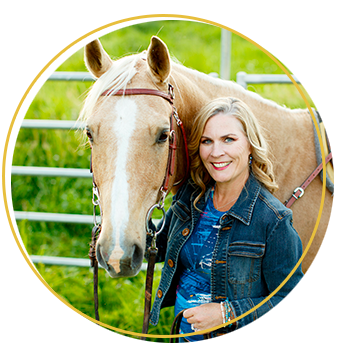 After witnessing one too many small business owners close up shop after being run ragged and still not being able to pay the bills with their sales, she founded 3 Cow Marketing to help others transform their marketing skills and begin to live the life they always dreamed of.